The South Fork of the Sacramento River is the largest of the three headwater canyons of the Sacramento River. It is longer and broader than the Middle and North Forks. Notably, it also has the most lakes by a pretty wide margin. The North Fork has no lakes at all; instead the river emerges from a vast complex of meadows at the head of the canyon. The Middle Fork boasts fine limnic specimens in Porcupine and Toad Lakes as well as the diminutive and remote Chipmunk Lake. The South Fork, on the other hand, claims 11 lakes and numerous smaller unnamed tarns scattered through four lake basins. In terms of sources of water for the South Fork, these lakes are also by a large series of meadows in under-appreciated Fawn Creek Canyon. It is easy to see why the South Fork is the largest of the Sacramento River’s three forks. Rocky ridge above Soapstone Basin. Most of the South Fork’s lakes are divided up between the Gray Rock Lakes and Cliff Lakes basins (read more about them here). These are spectacular examples of classic alpine lakes beset soaring, rocky cliffs. They are impressive destinations by any standard. The other two basins, Gumboot and Soapstone, are very different. Though there are attractive cliffs and rocky points on the ridges above the basins, they are not particularly impressive. Gumboot Basin is not very big but it does contain a pair of nice lakes. This is in noticeable contrast to Soapstone Basin. Although it is by far the largest basin along the South Fork of the Sacramento, it contains no lakes whatsoever. The only body of water present is the diminutive Soapstone Pond. Both shallow and small, the pond is ringed with dense forest and hardly makes a worthy destination for a hike. Still, Soapstone Basin itself is scenic in its own right and worth exploring. Both the Gumboot and Soapstone Basins have trails that climb up the basin headwall and eventually link to the Pacific Crest Trail. Neither trail is very long nor offers spectacular scenery, though they are still scenic enough. However, the sections of the PCT accessed by the two trails offer absolutely spectacular vistas and make awesome destinations for these two modest trails. Amazing view of Mount Shasta from the PCT. Easily the most heavily trafficked of the South Fork’s four basins, Gumboot Basin is a pretty lake basin that has all the ingredients of a classic alpine destination but lacks the scale to really elevate to the level of being spectacular. The main lake, Gumboot Lake, is a pleasant body of water set in a shallow bowl and ringed with lush meadow. A scenic bluff sits just to the southwest of the lake and makes an nice, albeit not particularly impressive, backdrop to the lake. 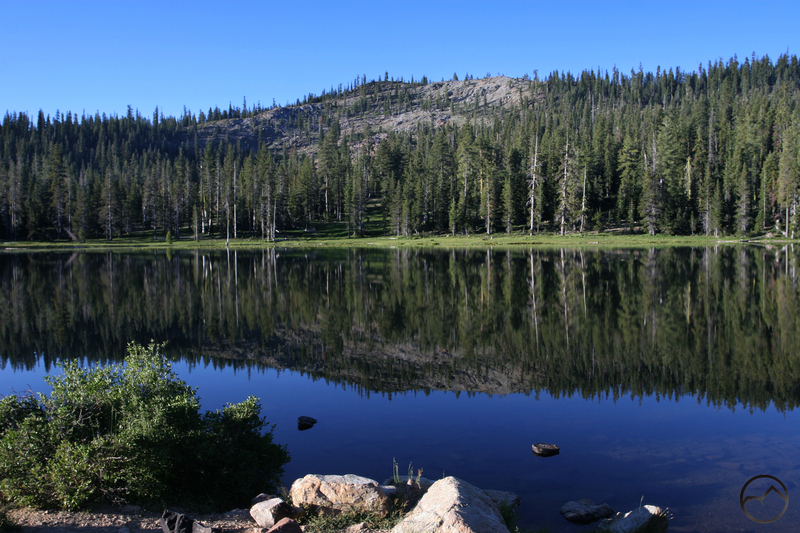 A short distance away from the lake is its smaller sibling, Upper Gumboot Lake. Although it is easy to reach, it only gets a fraction of the attention of the larger lake, nor is it as scenic. It must be noted that Gumboot Lake is one of only two lakes in the Trinity Divide that has direct access via paved road. Moreover, there is a small Forest Service campground at the lake. Consequently it attracts a fair number of visitors. 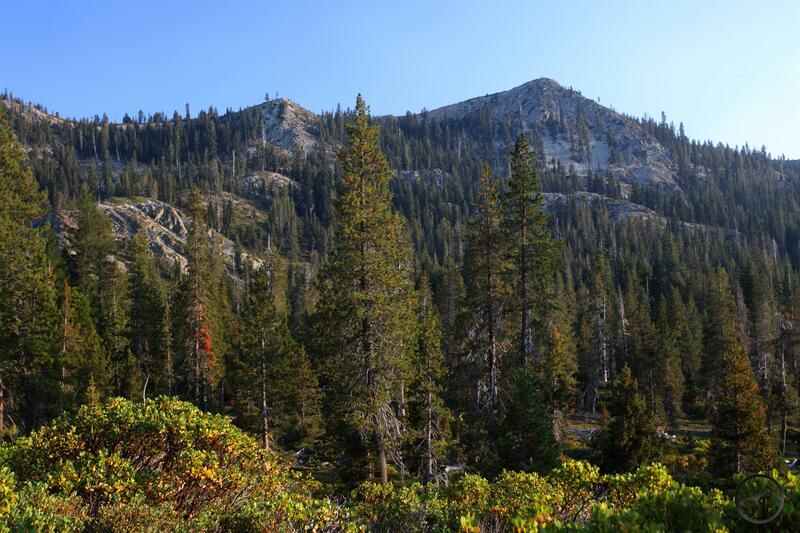 Despite the relatively high number of people in Gumboot Basin, the short trail that departs from the lake and climbs up to the Pacific Crest Trail is only moderately used at best. This is a surprise considering the trail passes a stone’s throw from Upper Gumboot Lake’s shore en route to a junction with the PCT. Once on the west’s most epic long trail, it is only a short hike away to jaw-dropping vista of the South Fork Canyon, the high peaks that line its southern ridge and mighty Mount Shasta towering majestically to the east. 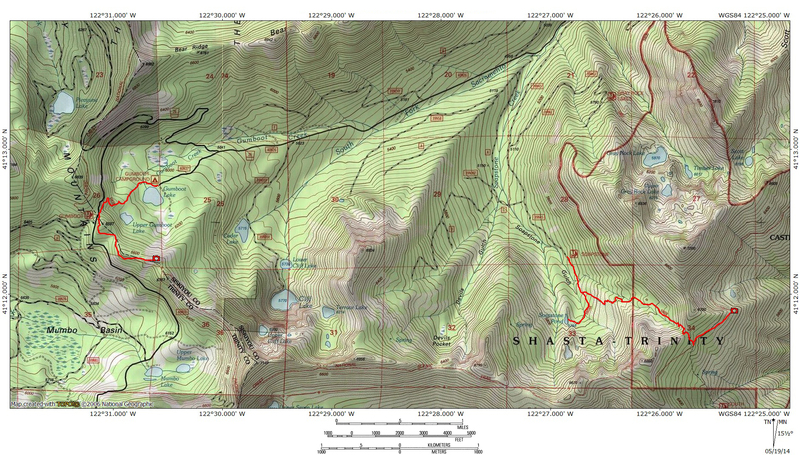 The combination of the modest Gumboot Trail with the excellent section of the PCT makes a surprisingly awesome hike. 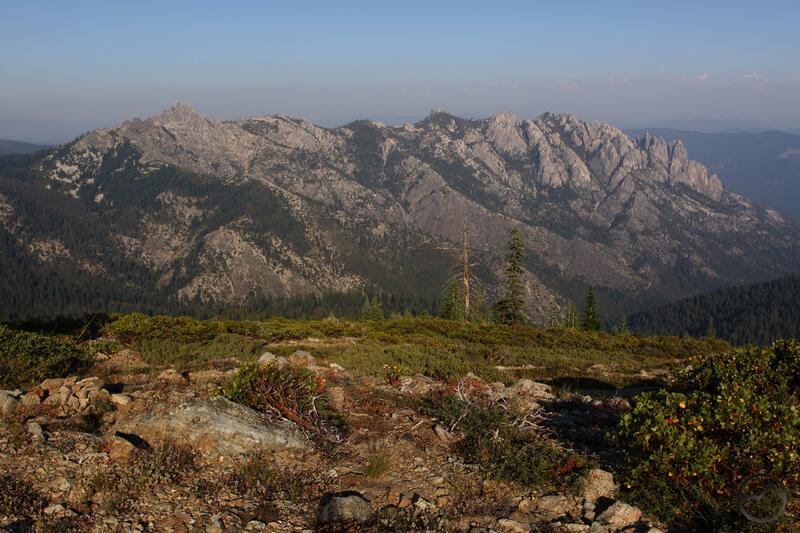 Stunning view of the Castle Crags along the PCT. Far and away the most remote and wild of the South Fork of the Sacramento River’s four basins, Soapstone Basin seems to be completely ignored by hikers. This is probably due to two primary factors first, in contrast to the paved road that accesses Gumboot Basin, getting to Soapstone Basin requires driving a rough dirt road up to the trailhead. Low clearance vehicles are not advised on this road. Compound the rough access with the lack of any lakes and most hikers just skip over the basin entirely. Given that Soapstone Pond is underwhelming, it is not surprising that this area is generally a blank spot on the map to most people. Yet, that very thing gives it an element of mystery and this is itself a draw for some. Add to that the fact that, even without lakes, Soapstone Basin still boasts a real sense of wilderness that none of the South Fork’s basins, except possibly the Gray Rock Basin, can lay claim to. To is remote, rugged and forgotten and this is a fantastic quality all its own. Yet it is still quite scenic, with some attractive cliffs at the head of the basin. However, what really makes the Soapstone Trail a top-notch hike is the destination it connects to when it joins the PCT. A short distance to the east on the PCT leads to one of the most stunning views in the Trinity Divide. On a rocky bench adjacent to the PCT one can take in the awesome bulk and imposing granite towers of the Castle Crags. This is a rarely seen perspective of the massive formation and it is one of the few that gives a real sense of the size and scope of the chaotic jumble of spires. Yet the Castle Crags are only a part of this tremendous vista. Soaring high above everything else is the magnificent crown of Mount Shasta. The entire scene is truly phenomenal. Typically this view is only reserved for PCT thruhikers, since it is far from any segments of the PCT that are trafficked by dayhikers. For the few who make the journey up the Soapstone Trail, this incredible view is a spectacular reward. Looking at that lake pic, you’d never guess the entire state of California is in at a moderate-to-severe drought. There is lots of water now, though not as much as there should be. The problem is the snow pack is going to melt out by early June rather than August or September. 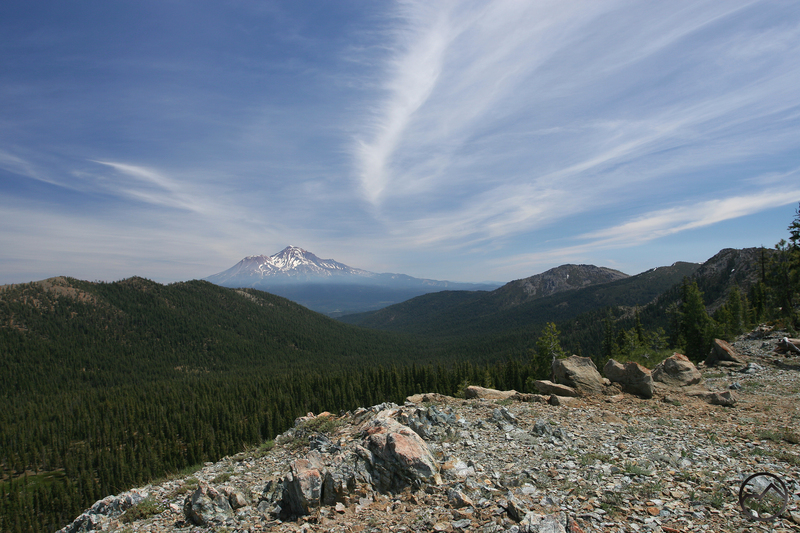 Fortunately the Mount Shasta area will fair better than most because of the deep, deep aquifers and numerous springs. The volcanic geology hold a lot more water than the hard dense granite of the Sierra Nevada, whence most of the state’s water comes.